FREE for a limited time – the full versions of Grammar Wonderland (Primary) & Grammar Wonderland (Elementary). In both games kids lead their characters through different adventures as they practice nouns, verbs, adjectives, and more. The primary version is for younger children – the words are read and some levels include pictures. 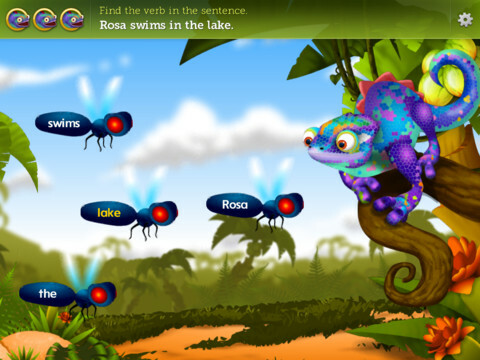 The app does not teach the parts of speech but it provides lots of practice for kids in a fun game-like environment. 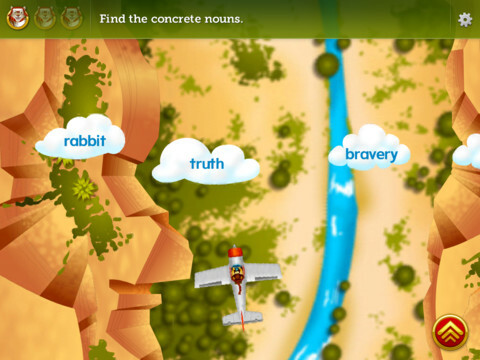 After teaching a lesson about parts of speech, teachers can have kids show what they know with this app. Practice is provided for the following: common nouns, proper, nouns, concrete nouns, abstract nouns, singular nouns, plural nouns, possessive nouns, pronouns, action verbs, present-tense verbs, past-tense verbs, future-tense verbs, linking verbs, adjectives, articles, comparative/superlative adjectives, and more! Many parts of speech are taught in both apps – perfect for differentiating your instruction for a variety of reading levels. Both also apps permit multiple player – great for the classroom!